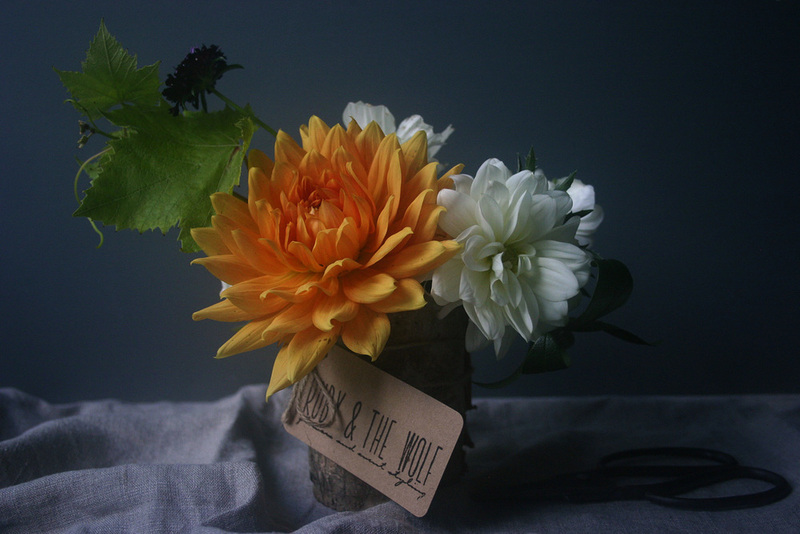 I made a few arrangements that went in to a prize draw for an industry event. Two of them were won by women (who were over the moon) and the third went to a man who gave them to his girlfriend. It's funny that flowers are enjoyed so much more by women than by men. I doubt even my more masculine arrangements will change this, but I have plans for some cool plant arrangements that might appeal to guys as well as girls. A lovely friend of mine owns Bristol Vintage , a fantastic vintage crockery and prop hire company. 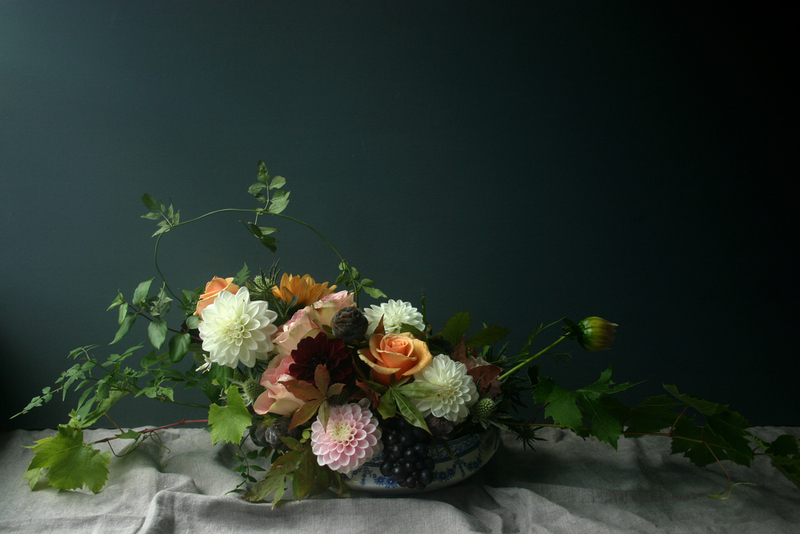 She asked me to provide flowers for her table at a Pretty Nostalgic gathering at the weekend. I styled a couple of vintage bikes with ivy and hydrangea and filled exquisite vintage china with my flowers. I've been taking advantage of all the foliage in our garden before it's killed off by the frosts. And in other news, my new favourite vessel is the vintage fish box. Ummmm yes, I just said 'fish box'.